Lots of fun can be had with only paper, pencils, and pens! Freestyle drawing is amazing but sometimes a new project is in order. 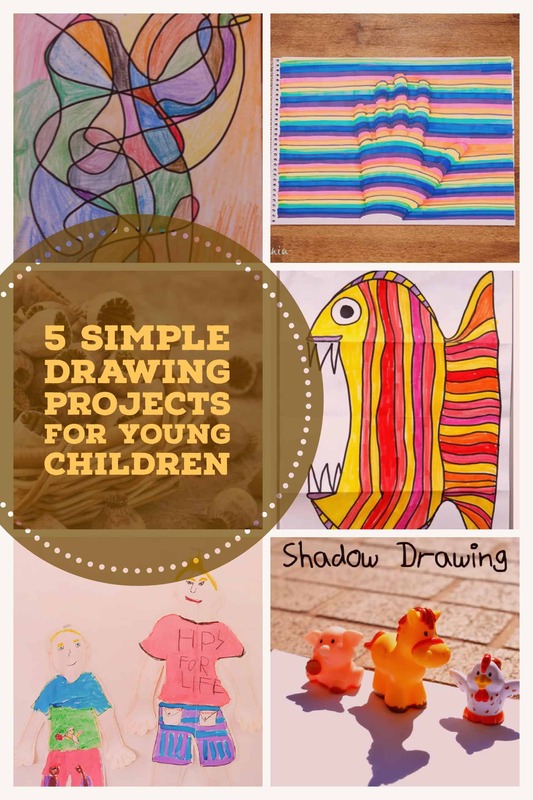 These 5 simple drawing projects for young children will keep all young artists happy. These drawings start out so sweet and friendly but when they open look oh so scary. Click here to find out more. 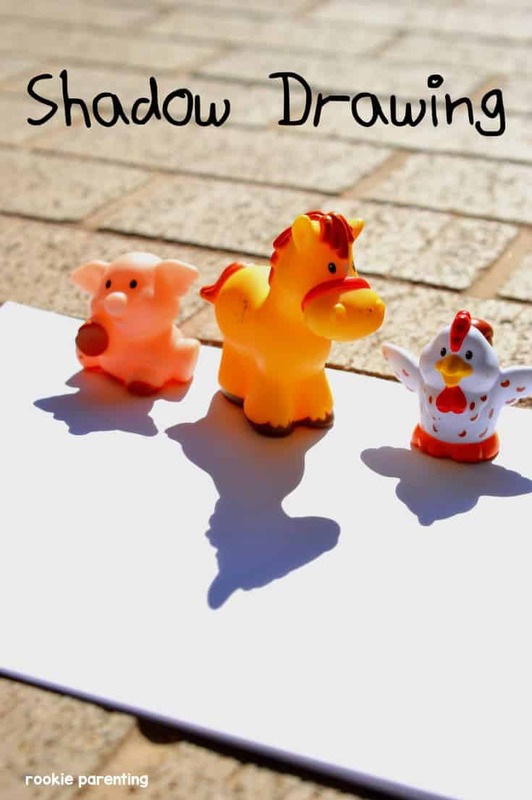 Shadow drawing, so simple yet so cool! This is going to be one popular drawing project in our house. Follow this link to find the full tutorial. 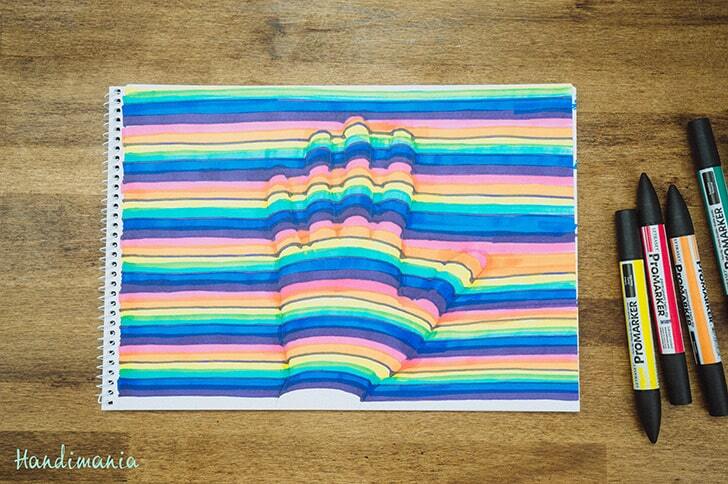 Kids of all ages will love doing this amazing 3D optical illusion hand drawing. Click here to see how easy it is to draw. Get your child to lie on the floor on top of a large piece of paper and trace around then let them fill in all of the details. 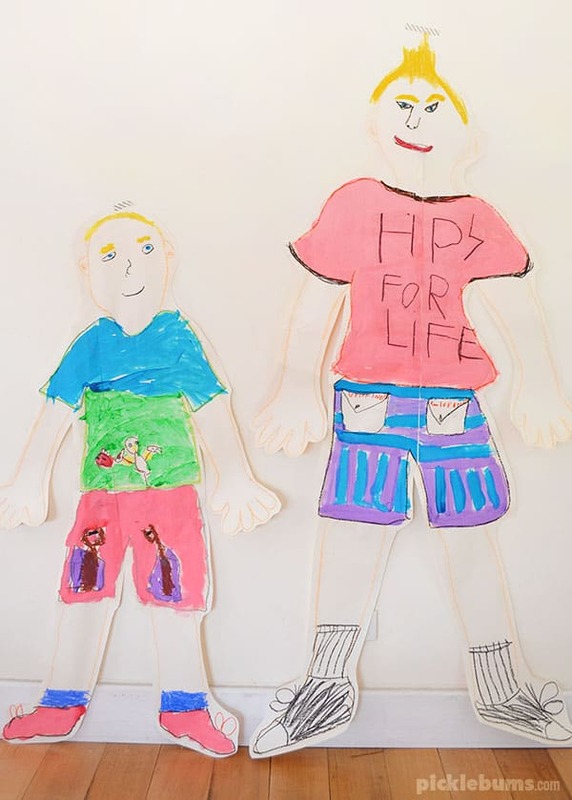 Not much cooler than a life-size self-portrait! Follow this like to view the full tutorial. Scribble art is fun and relaxing to do. 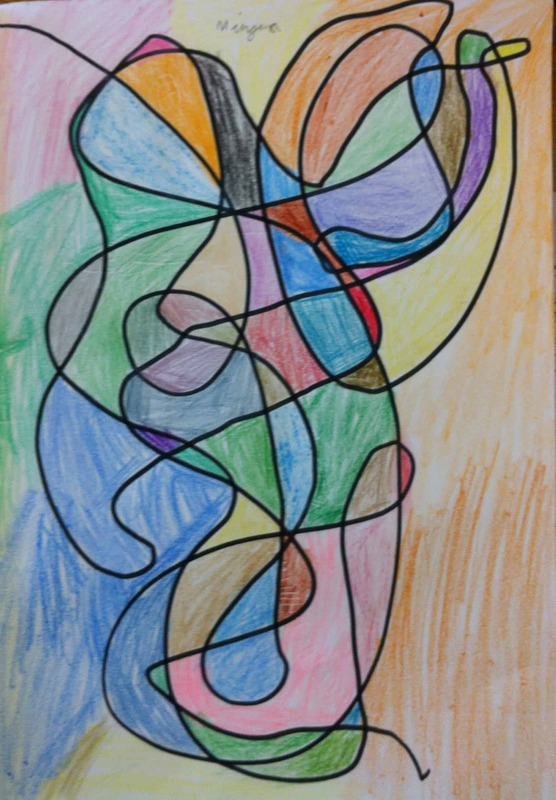 Simply make a wiggly scribbly drawing and color it in. To extend this drawing for older children let them find faces, monsters or animals in the squiggles by coloring in appropriate sections. Source found here. For older children check out our How To Draw Animals post.